Jim and Rose Rhodes' Rock City Grill, one of Spokane's favorite restaurants in downtown Spokane for over 24 years, has moved from its River Park Square location to 2911 E. 57th, the former location of Famous Ed's. Prior to their 13 year run at River Park Square, Rock City Grill was located on the main floor of the Fernwell Building at 505 West Riverside. The website is rockcitygrill.com and the phone number is 509-455-4400. PAWN 1's newest location opens this Thursday, August 11 in Airway Heights, at Hayford Crossing Shopping Center, Hayford Rd and Highway 2. The new building was recently completed and other retailers to open soon will be Grocery Outlet, Dollar Tree, Super Cuts and Jimmy John's. STCU has announced plans to open a new branch at this location next year. PAWN 1, Inc. is a privately owned pawnshop chain. Established in Spokane in 1979, the specialty finance and retail stores have 19 locations, employing more than 200 people throughout Washington and Idaho. 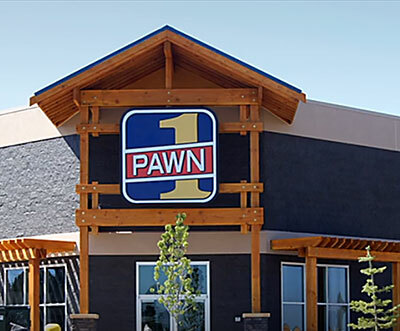 PAWN 1 plans to open store number 20 mid October in Idaho Falls. The Airway Heights location will be open 7 days a week, the phone number is 509-321-7296. For more information, visit the website at pawn1.com. The Law Office of Randi Johnson, which is dedicated to serving disabled professionals and service-connected veterans, has new name, Lilac City Law. 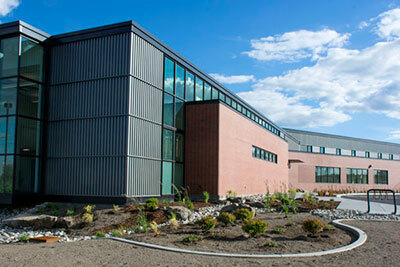 The firm has also moved to a new address, 421 W Riverside Avenue, Suite 665 in Spokane. Randi Johnson focuses her law practice on a range of disability law issues. Primarily, she advocates on behalf of the disabled in their claims for Service-Connected Veterans benefits, Social Security Disability Insurance (SSDI) and Supplemental Security Income (SSI) benefits. She has significant experience arguing her clients' claims at all stages of the claims process, from the Initial Application through Federal District Court appeals. Randi has extensive experience advocating for her clients. Since 2007, she has argued cases in 39 states and Puerto Rico, handling over 1,500 Social Security hearings. 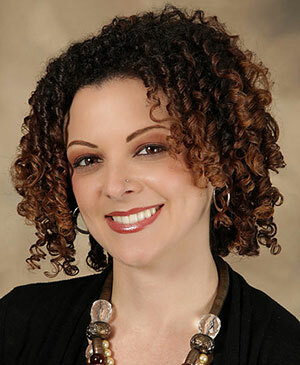 In 2010, the Veterans Administration certified Randi as an accredited attorney to take claims on behalf of Veterans. The phone number is 509-624-1610 and the website is lilaccitylaw.com. River Park Square has a new restaurant. Tortilla Union opened for business last Wednesday on the ground floor of River Park Square in between Williams Sonoma and Nordstrom. Tortilla Union is a locally owned and operated by the same owners as Twigs Bistro & Martini Bar. The new restaurant will feature Southwestern inspired dishes that will 'celebrate the spirit of the Southwest'. The 4200 square foot restaurant has a full bar and a menu that begins with Union Starters like fresh hand made tortillas and tableside guacamole, offers a delicious selection of entrees and a dessert menu called sweet endings. You can check out their menu and get more information at tortillaunion.com. Dan Murray was appointed as Senior Vice President, Chief Credit Officer of RiverBank effective August 1. He came to RiverBank after 40 years in the banking industries of Montana and Washington, serving as Credit Administrator for 25 of those years. He has held board positions with the National M.S. Society, was President of the Chewelah Lions Club, as well as past chairman of the Eastern Washington Business Development Corporation. 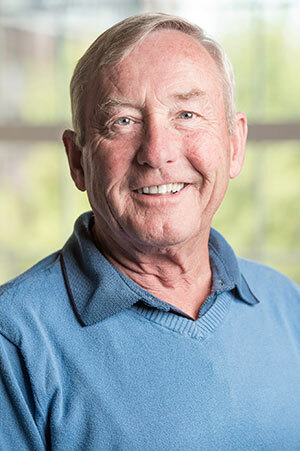 Murray graduated from the University of Utah with a Bachelor's Degree in Finance and has taken and taught numerous seminars and continuing education courses with the American Institute of Banking. Located in the downtown Spokane University District, RiverBank at 202 E Spokane Falls Blvd, is celebrating 10 years as a business bank that serves the Inland Northwest communities. RiverBank provides a unique alternative to traditional banking through its single location model and mobile branching/concierge services. Through mobile branching, RiverBank brings the bank directly to customers with advantages like picking up deposits at their place of business and transporting bank documents. RiverBank is a community bank devoted to creating long-term client relationships by delivering high quality, technologically focused and competitively priced products and services to small businesses, business professionals and private banking clients. The phone number is 509-744-6900 and the website is riverbankonline.com. Two new ophthalmologists will join Spokane Eye Clinic in August bringing the total number of eye care providers to twenty-five. Dr. Matthew Weed specializes in lazy eye (amblyopia), eye misalignment in children and adults (strabismus), inherited eye diseases, retinopathy of prematurity, and cataract surgery in infants and children. Dr. Ryan Whitted is a retina specialist seeing patients with macular degeneration, retinal detachments, diabetic retinopathy and retinal vascular disease. Both are board certified by the American Board of Ophthalmology. See their full bios at www.spokaneeye.com. In addition, the Spokane Eye Surgery Center is celebrating their 30th year in business. The ambulatory surgery center located in the Spokane Eye Clinic at 427 S. Bernard performs over 10,000 procedures a year. Spokane Eye Clinic was established in 1955 and celebrated their 60th year in business during 2015. 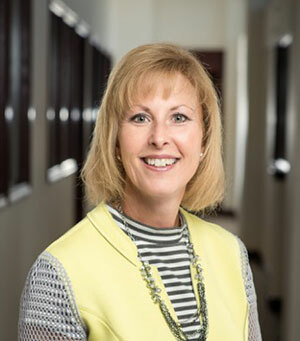 State Bank Northwest Board Chairman, President and CEO Greg Deckard, recently announced the election of State Bank Executive Vice President, Chief Operating Officer Lorilei Bruggink to the Bank's Board of Directors. The election took place at the Bank Annual Shareholder Meeting held last month. Bruggink has been the Chief Operating Officer of the bank since 2004. She graduated from Central Washington University with a degree in Business Administration/Finance and has been involved in community banking since 1985 in the Spokane market. Lorilei is actively involved in community and professional organizations, such as Executive Women International, Independent Community Bankers of America, and the Providence Health Care Foundation Eastern Washington Board. 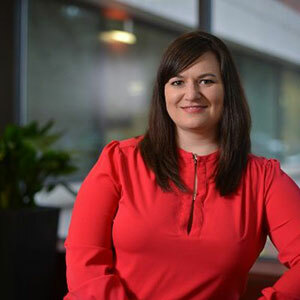 Ashley Mancheni, a former Spokane resident and 2001 graduate of Mead High School, launched the Mancheni Agency in June. The firm is based in Seattle, with clients across the country. The agency's focus is online community building to enhance an organization's reputation and brand. They also do a lot of issue-related social media and grassroots work. Ashley, a University of Portland graduate with a degree in Political Science, was previously an Account Supervisor with Portland-based public affairs firm Quinn Thomas where she led the team's Seattle presence. She worked on issues relating to education, natural resources, retail and the environment. Previously, she spent 8 years in Washington, D.C. at the Public Affairs Council. She started the Council's Digital Communications practice, which focused on using digital media to advance an organization's policy priorities and protect their reputation. The phone number is 206-457-7352 and the website is www.mancheniagency.com. A new health clinic that will serve as a training site for new physicians and provide interdisciplinary opportunities for the region's university students opened last week. The Spokane Teaching Health Center clinic, located on Washington State University Spokane's Health Sciences campus, will be operated by Providence Health Care and supported by the consortium of Empire Health Foundation, Providence Health Care and Washington State University Spokane. Joining in the move are 43 new medical residents who began work at Sacred Heart Medical Center in June, an increase of 10 residents over last year. It's the third consecutive year of growth, thanks to the efforts of the consortium. Overall, Spokane now has 99 medical residencies and fellowships, up from 74 just three years ago. Of the increase, 19 residents are training in family and internal medicine and are supported through the consortium while six residents are training in psychiatry and are supported through Providence. The majority of these new doctors are moving from the Internal Medicine, Family Medicine and Psychiatry Residency clinics in the Fifth and Browne Medical Building to the new 42,000 square foot Spokane Teaching Health Clinic (STHC), financed and built by WSU on its downtown Spokane campus at 624 E. Front Street. In addition to growing residency slots, the consortium has a mission of integrating students and faculty from health sciences programs in the region into a team-based clinical environment, which is the future of health care. Ian McKay, formerly with Southwest Florida International Airport and Page Field, in Fort Myers, Fla. has been hired by T-O Engineers Inc. as an airport planner in the Spokane aviation group. Visit to-engineers.com to find out more. The Center of Occupational Health & Education (COHE) Community of Eastern Washington, a program of St. Luke's Rehabilitation Institute, has renewed its three-year contract with Washington State Department of Labor and Industries (L&I) to continue getting injured employees back to work. Additionally, COHE Community of Eastern Washington expands its services to Klickitat County to assist more employers and injured workers through the workers' compensation process. For more information about COHE Community of Eastern Washington, visit www.gocohe.com. SERVPRO has recognized Steve Knight of SERVPRO of Northwest Spokane with the prestigious Millionaire's Gold Award for outstanding revenue performance. The Awards event took place at the company's 46th Annual Convention held at the Hyatt Regency Chicago. The event attracted a record-setting group of more than 2,700 Franchise owners and key employees. You can get more information by emailing Steve at steve.servpro10119@yahoo.com or visit www.servepronorthwestspokane.com. The first-ever Spokane Brewers Festival takes place at the Spokane Arena this Friday and Saturday, August 12 & 13. This event will feature the best local craft breweries in the region, live music provided by The Inlander, a great selection of local food vendors, and the River City Root Beer Garden. The Spokane Brewers Festival is an all-ages event (minors must be accompanied by a parent) and there is no admission charge to enter the grounds. $7 mugs and $1 tasting tokens will be available. More information available at www.spokanebrewfest.com.